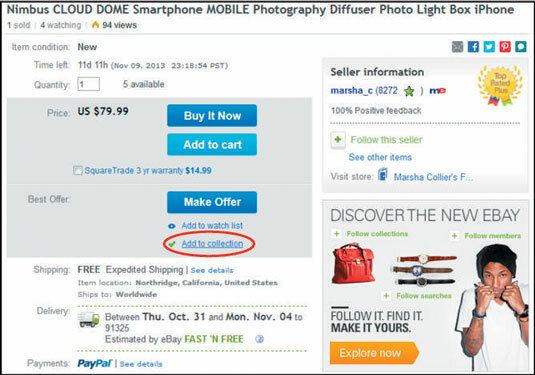 Did you know that if you click your User ID on any eBay page, you arrive at your very own profile page? (You also have a link on your Feedback profile page.) Unlike the About Me page, which you have to choose to set up yourself, every eBay member has a profile page. Yours is ready and waiting for you to embellish. You can also add custom features to this page to share your other community moments. Collections: Have a hobby? Maybe enjoy an old series of TV shows or a movie? You can curate your own online image collection of items to share with the community. Anytime you see a Star icon you can click to add to a collections page. You’ll enjoy putting one together. Reviews: Wondering what other eBay members think of a particular product, book, or movie? Visit eBay’s Reviews to find out. Better yet, contribute one of your own. 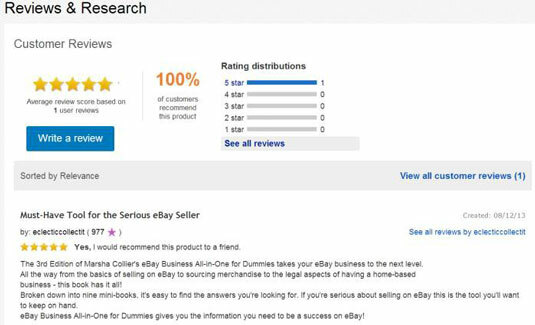 Reviews you have posted show up when a search is made on an item for which eBay users have posted reviews. You can also visit the Reviews home page for more information. Guides: Do you have a special talent? Maybe you’re an expert on antique linens and want to share that knowledge. Here’s the place. 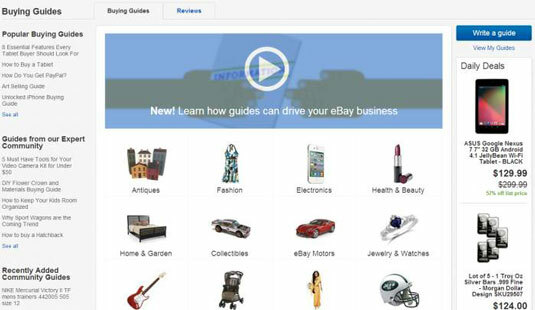 Go to the Guides area and post your guide to help other eBay members. There’s a link on the home page in the Legal & More area.